Description A very late maturing Winesap-type variety grown primarily in the Southeast. The fruit is dark red and very firm with a tart flavor. This is a great variety to add in a cider blend, providing a high acid, spicy flavor. 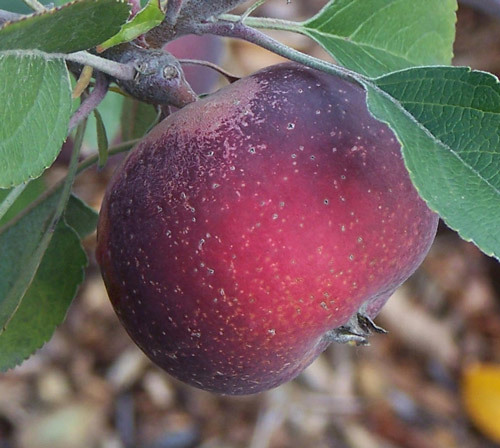 Pollination Information Arkansas Black blooms in mid-season and will pollinate all other early blooming apple varieties, varieties blooming in the middle of the season, and also varieties blooming late in the season.